This summer class is for those young clarinet players interested in music and clarinet. First two days are for children younger than 15 years of age, one person adult (a parent or a teacher is required), they can meet each other, meet professors from conservatory, find new ways of their playing. The following week is for older clarinettists than 15 years, at the end they will play at three concerts. This year is open also for chamber music groups. 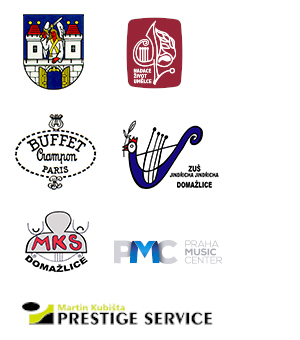 The project was created thanks to the financial contributions of the Domažlice City, The Artist life Foundation and Buffet Crampon. Joseph EllerClarinetist, Joseph Eller, was appointed as a member of the University of South Carolina School of Music faculty in 2005. He has performed solo and chamber music recitals throughout North and South America, Europe and Asia. Mr. Eller was appointed principal clarinetist of the South Carolina Philharmonic in 2012 and has played extra with the Atlanta Symphony Orchestra, the Atlanta Opera Orchestra, Charleston Symphony Orchestra and numerous other orchestras throughout the southeastern United States. 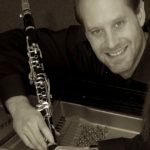 Previously, he served as principal clarinetist of the Cobb Symphony Orchestra in Georgia from 1997-2005 and was the clarinet professor at Kennesaw State University from 1998-2005. Additionally, he was principal clarinetist of the 214th Army Band in Atlanta, GA from 1996-2000, where he was a featured soloist on many of their national tours. He has recorded on the Centaur, Mark, Vestige, Beauport Classical and Allgood record labels. A native of Ypsilanti, Michigan, Mr. Eller received performance degrees from Eastern Michigan University and Louisiana State University and began his doctoral studies at the Peabody Institute. The teachers with whom he has studied include Steven Cohen, D. Ray McClellan, Laura Ardan, Steven Barta, Dan Silver, Ted Oien and Armand Abramson. Mr. Eller was co-Host and co-Artistic Director of the 2006 International Clarinet Association convention, ClarinetFest® 2006, in Atlanta, GA. He is a member of Pi Kappa Lambda, the College Music Society and serves as the South Carolina State Chair of the International Clarinet Association. He plays on Buffet R13 clarinets, Rico Reserve mouthpieces and Rico Reserve Classic reeds and he is an artist/clinician for both the Buffet Group, USA and Rico. His hobbies include playing ice hockey, racquetball, snow skiing, and reading. He, his wife Christie, and their four children live in Columbia, SC and are active members of First Presbyterian Church, Columbia. Jana has experience in managing sports lessons both for adults and for children. A lesson is designed in regard to the client (group). Yoga and fitness lessons are completed with elements of medical exercises and relaxation, and are based on a client’s individual needs. She also performs sports and relaxation massage. In addition, Jana carries out diagnosis of muscular imbalances and their remediation with the aid of special exercises, including correction of a faulty posture. She has been to clarinet courses three times already and her breathing work has had a very positive effect on players. Markéta Cibulková started her playing the piano at the age of five. Her talent attracted public attention at an early age. 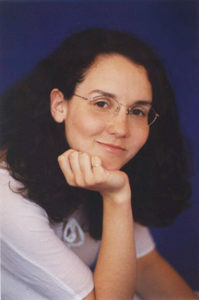 Her studies at the Prague Conservatory were regulary complemented by studying at the International Chamber Music Academy of Sándor Végh (Maurice Bourgue, Sergio Azzolini, Ida Levine, Oleg Maisenberg), with which she performed at events such as the Prague Spring Festival, Musica Iudaica and the Festival of Bohuslav Martinů in Prague. At this time for Sir Charles Mackerras and the Czech Philharmonic Orchestra she undertook the piano part in Bartók´s Music for Strings, Percussions and Celesta. In the same year she attended the master class of Jean – Bernard Pommier at the Oxford Philomusica International Piano Festival and moved to Austria. There she was studying under prof. Aleksandr Igoriewitch Satz at the University of Music and Performing Art in Graz, Austria. 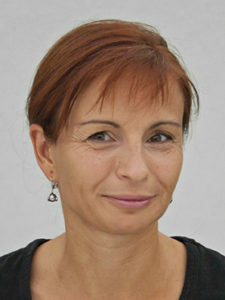 Markéta Cibulková is profoundly interested in the study and interpretation of chamber music. Since her day at the Prague Conservatory she has collaborated with the leading clarinetist Ludmila Peterková, with whom she gave concerts among others, at the Mitte Europa Festival in Germany and the Carmel Festival in Israel. In 2000 with L. Peterková and the violinist Gabriela Demeterová, she recorded for Supraphon a CD of 20th century clarinet trios by B. Bartók, I. Stravinskij, A. Khachaturian and D. Milhaud. Since Markéta Cibulková´s return to Czech Republic she not only devotes her attention to her concert career but also teaches young pianists at one of the biggest music schools in Prague. She also occasionally publishes her broadcasts about medieval music in Czech Radio.